If you were arrested for any kind of alleged criminal offense in Texas, it is important to seek out the services of an experienced criminal defense attorney as early in the case as possible. An experienced attorney can fight to get your charges reduced or dismissed. 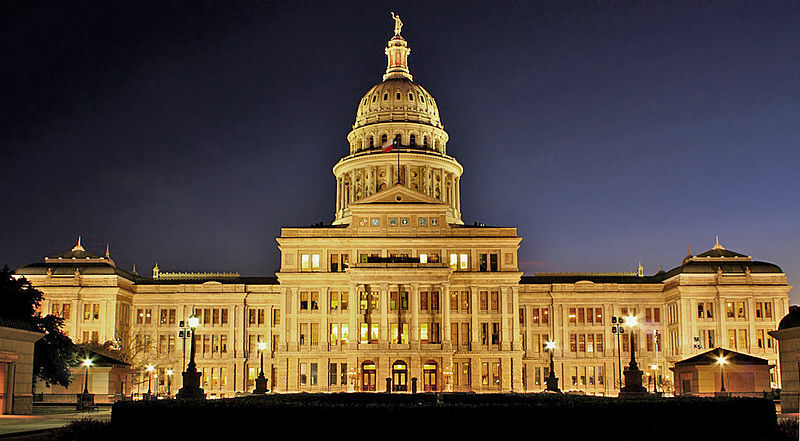 in the Lone Star State can fight to possibly get your criminal charges reduced or dismissed. 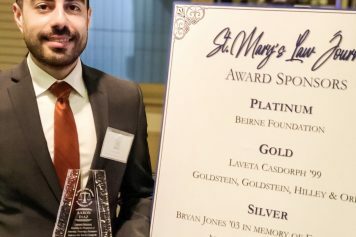 For the Lone Star State, the attorneys at Goldstein, Goldstein, Hilley & Orr represents clients all over the greater San Antonio area, Bexar County, and the entire state of Texas in both state and federal court. including several communities outside Bexar County. Our criminal defense attorneys defend clients in state and federal courts throughout Texas. No case is too small or too large for our talented team of attorneys. Gerry Goldstein and Cynthia Orr are both Board Certified in Criminal Law and Criminal Appellate Law by the Texas Board of Legal Specialization. The attorneys at Goldstein, Goldstein, Hilley & Orr handle every type of misdemeanor and felony criminal case at both the state and the federal level. Call (210) 226-1463 right now to take advantage of a free, confidential consultation that will allow our lawyers to provide an honest and thorough evaluation of your case. Penal Code | Texas Constitution and Statutes — The general purposes of the Texas Penal Code “are to establish a system of prohibitions, penalties, and correctional measures to deal with conduct that unjustifiably and inexcusably causes or threatens harm to those individual or public interests for which state protection is appropriate.” On this website, you can view the entire penal code as well as the state constitution and other Texas statutes. Learn more about general principles of criminal responsibility, punishments, inchoate offenses, and more. Texas Department of Criminal Justice (TDCJ) — The TDCJ operates the largest prison system in the United States. The state agency manages offenders in state prisons, state jails and private correctional facilities that contract with TDCJ. Visit this website to access agency publications, view different divisions and departments, and find answers to frequently asked questions. Texas Highway Patrol | Texas Department of Public Safety (TxDPS) — The goal of the Texas Highway Patrol Division is “to help maintain public safety through the efficient and effective administration of the division’s various programs.” It is responsible for general police traffic supervision, traffic, and criminal law enforcement on the rural highways of Texas. On this website, you can learn more about commercial vehicle enforcement, find travel tips, and download various forms. 6502 S. New Braunfels Ave.
Criminal Defense Attorneys in Texas – Visit the website of Lawyer Legion to find a list of the top criminal defense attorneys in Texas. Learn more about the attorney’s leadership in the legal community through specialty certification programs and specialty bar association. Find a local and experienced attorney in Texas by searching the directory by name or practice area. Were you arrested in Texas for allegedly committing any kind of criminal offense? Do not say anything to authorities without legal representation. 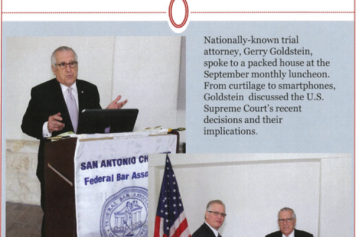 The experienced Texas criminal defense lawyers of Goldstein, Goldstein, Hilley & Orr represent clients in the greater San Antonio area as well as communities in many surrounding counties. You can have our attorneys review your case and help you understand all of your legal options as soon as you call (210) 226-1463 or complete an online contact form today to schedule a free initial consultation. This article was last updated on Friday, November 22, 2017. Gerry Goldstein and Cynthia Orr are both dual Board Certified in Criminal Law and Criminal Appellate Law by the Texas Board of Legal Specialization. 29th Floor Tower Life Bldg. Disclaimer: We created this website to give you general information about a variety of criminal offenses and possible defenses that might apply to those charges. The information on this website does NOT constitute legal advice and you may not rely on it as such. If you need legal advice, then retain an attorney to discuss the facts of your case. If you would like to discuss your case with an attorney at Goldstein, Goldstein, Hilley & Orr, then please contact us to schedule a consultation. During the consultation the attorney can discuss whether our firm can assist you. An attorney-client relationship will arise between you and our firm only if we specifically agree to act for you. Until we specifically agree to act for you on a matter, you should not provide us with any confidential information or material.